If you have difficulty using or accessing any element of this website or on any mobile app or tool provided by Evereve, Incorporated (also referred to as “Evereve,” “Evereve.com,” “Trendsend,” “Trendsend.com,” “us,” “we,” or similar terms), please feel free to call us at 1-877-637-6311, Monday through Friday, 9am to 5pm, or email us any time at trendsend@evereve.com and we will work with you to provide the information, item, or transaction you seek through a communication method or that is accessible for you consistent with applicable law (for example, through telephone support). Goal of Accessibility for All. Evereve desires to provide a positive customer experience to all our customers, and we aim to promote accessibility and inclusion. Our goal is to enable our customers to successfully gather information and transact business through our website and other technology platforms. Whether you are using assistive technologies such as a screen reader, a magnifier, voice recognition software, or captions for videos, our goal is to make your use of Evereve’s technology a successful and enjoyable experience. 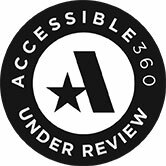 Although we are proud of the efforts that we have completed and that are in-progress, we at Evereve view accessibility as an ongoing effort.